The band celebrating 2nd place at the WEBBA Regional Championships 2017. Thank you to everyone who voted during the recent Bags of Help at Tesco Callington, we will be receiving £1000 towards a new baritone. 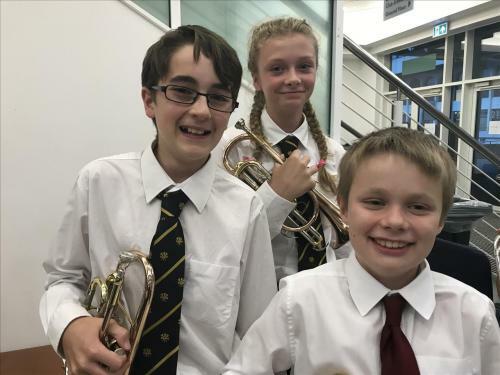 Two of our Junior band have recently made the transition to senior band, when they joined us for their first senior band contest in Cheltenham for the National Finals where we came 12th. 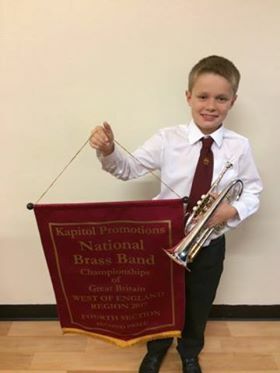 Also our 3rd cornet player Matthew was awarded a cornet for being the youngest player (10 years old) in the fourth section. Our Junior Band and Learner section return this Friday 8th September. Meeting 6pm at The Core. We are looking forward to welcome players old and new of any ability.